The course is in English and it is structured with exercises, notes, texts, illustrations, pictures and videos. It has been developed by experienced psychoanalysts, physicians and psychosociotherapists at the Integral Psychoanalysis main clinic in São Paulo and it includes 12 extensive and elaborated chapters. 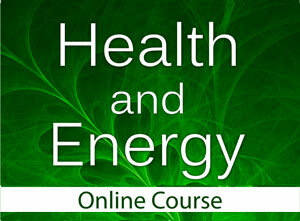 The course gives you a full insight into the human psychic interior, the causes of disease and the healing process. Hours: About 60 hours, study whenever it suits you. You have access to the login code for one year. Certification: After completing the course and after giving some written feedback (in Swedish) about the course and what new insights the course has given you, you´ll receive a certificate. Analytical Trilogy (Integral Psychoanalysis) is a science that studies the reasons, the interrelation and the treatment of mental and social health. It´s developed by psychoanalyst Norberto Keppe and integrates the knowledge of theology, philosophy, psychoanalysis, biology, physics, metaphysics, social sciences and the arts. This science is therefore interdisciplinary. The revolutionary Keppe Motor – a low-consuming green energy motor – has been developed through studies and research based on this science.